Palm Beach Gardens, FL-December 13, 2016. 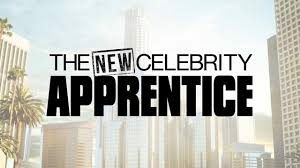 It’s Official: Ricky Williams, former Miami Dolphins running back, and contestant on this season of NBC’s ‘The New Celebrity Apprentice’ will be competing to raise funds and awareness for Dr. John E. Upledger Foundation’s CranioSacral Therapy and its benefits to those suffering from concussion, CTE and other related injuries. 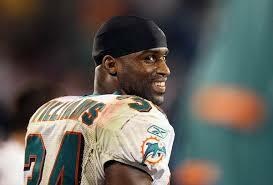 Ricky Williams, who played professional football for 12 seasons, and like all players, suffered repeated trauma to his head and body during his career, strongly supports CranioSacral Therapy. Since 2014, Ricky has partnered with the Dr. John E. Upledger Foundation on concussion programs designed for football players with a predisposition to Chronic Traumatic Encephalopathy (CTE) and post concussion syndrome. CranioSacral Therapy is a gentle, hands-on treatment modality that releases tensions deep in the body to relieve pain and dysfunction and improve whole-body health and performance. Practiced worldwide by practitioners from medical doctors to manual therapists, CranioSacral Therapy was developed by Osteopathic Physician John E. Upledger. Therapists focus upon the removal of tissue restrictions within the membrane system surrounding the central nervous system that may be at the heart of sensory, motor and neurological dysfunctions. Proven effective in treating chronic pain and orthopedic challenges, CranioSacral Therapy has aided patients with a wide range of conditions and the most difficult medical histories. The Dr. John E. Upledger Foundation was formed in 1987 to provide financial assistance for those who need but cannot afford CranioSacral Therapy. The Foundation has helped thousands of patients overwhelmed with rising out-of-pocket medical expenses gain access to CranioSacral Therapy and other integrative modalities that treat malfunctions involving the brain and spinal cord, chronic pain and other conditions that cause physical and emotional impairments. For more information on the Dr. John E. Upledger Foundation or CranioSacral Therapy, call 561-622-4588 or visit the website at upledger.org.